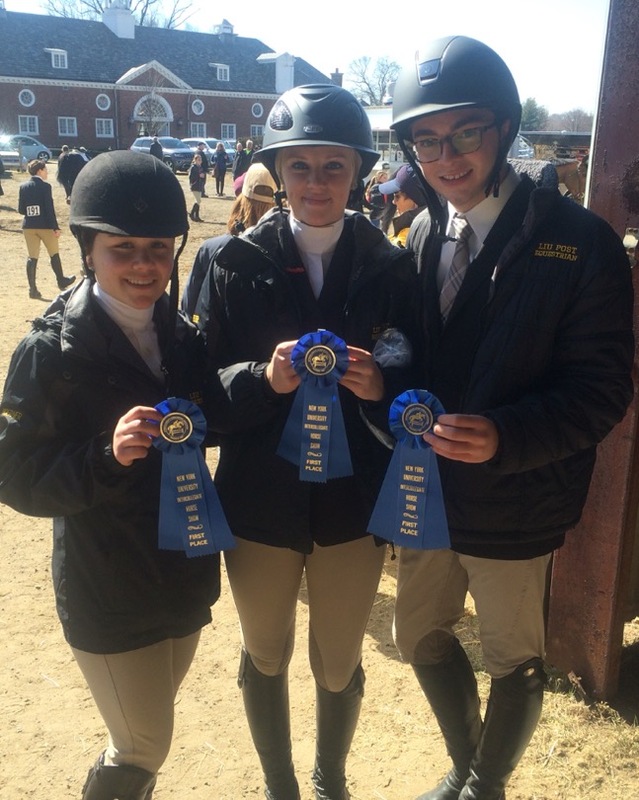 The equestrian team placed first after earning overall high point at the Lloyd Town Harbor Horse Show, hosted by New York University, on Sunday, Feb. 28. The Pioneers are now third in the region. Trina Aspenleiter, and Joe Cammarano. The open flat riders, Alexis Rand and Jessica Sulkers, both notched first places in their respective sections. The pioneers also took home all three sections of novice fences: Joe Cammarano, Trina Aspenlieter and Chloe Hoener did the job. Hoener also left the day as the individual reserve high point rider. Sara Peterson topped the walk/trot event in her first horse show ever. The individual riders now qualified for regionals on Sunday, March 20, are Emily Gricco, Heather Grova, Shannon O’Dwyer, Sulkers and Rand.